What do you/would you miss about your 204? What would you/will you miss the most? 1) Legendary reliability - the thing has been bulletproof for me. 3) The damn thing just does so well in the salt/snow. It won't rust. My post FL 204 has no subframe cracking issues that happen on the pre-FL. It seems all post FL vehicles are fine. The ONLY thing I am now starting to get as I exit the 7th winter is surface corrosion on the exhaust components, but that's normal. 4) Port fuel injection (sigh, I will miss this). 5) Very easy to maintain interior. Coming up to 7 years now and hardly any wear and tear on the vehicle! (exterior AND interior - and I have that MBTex stuff too). #1 to #5 have made the 204 a joy for me to own, and a vehicle that I will miss, that's for sure! The 204 is probably the last very well designed MB and after, what was it like 5 or 10 years of development, I can clearly tell the folks at Stuttgart did a hell of a job on this car! 5-I like the interior design it still looks like a new car and when the car is cleaned it looks better than most new cars. I wish it came in a Wagon here in canada!!! lol thats it i just wish i had that little extra space. I echo everything you guys mentioned already and would like to stress on the HOLD feature in traffic/traffic light and the hill assist feature which is also so simple yet so useful and comfortable. I had the chance to try the 4MATIC system on snow/ice twice now and on both occasions things went without a hitch. It felt like driving on dry asphalt. Very impressed by 4MATIC. Ah yes you reminded me of a hidden feature that I have come to adore! Dyno mode!! Unlike what is publicly mentioned in the forums, power steering indeed does still work but abs and Esp are both completely off. Oh man it's a hell of a lot of fun in the winter!!! Pretty much everything you guys mentioned and especially the driveability. Without it, all the others are useless imo. You can hop into many cars and just not feel the need to drive, not enjoy the manueverability, the lightness of the rpms. Our car certainly is no supercar; however it's really easy to turn it into a very sporty vehicle. This car handles 200km/h weekly like a champ (summer) and requires almost no effort to drive so well (although the wider wheels/tires are the best upgrade). It's no wonder that combining this, with the 6.2 engine, has owners keeping them long term. Bought it new and felt it was too firm compared to my other Japanese cars. More I drive it more I feel it is nearly perfect. I'd describe it is very comfortably firm, super stable... I am out of words. Something that I would miss when I sell the car would be how if you just tap the accelerator lightly and quickly you can get the car to downshift, kind of like heel and toe shifting. Much more satisfying when trying to pass a car, for example, than mashing the throttle and having to wait until the transmission catches up. If you get good at it you can do it pretty seamlessly. What I won't miss is how this car does not have gridlines for the back up camera. That to me is beyond inexcusable. That and the lack of parking sensors being standard. Only the Canadians get those standard! Ha! I installed aftermarket camera and have fake lines (not on OEM screen, but mirror). I also agree about the pedal tapping. My car battery died at work (it's non OEM but very good overall) but it came back a few days later. Bought a duralast at AutoZone but returned it. In fact, I may have just hit the speed I mentioned about 10 minutes ago lol. I love how when it's cold the heater doesn't blow cold air. It waits for the temperature to come up before it will start to blow. I would miss how the car wants to carve the corners as well. The 4-matic is also pretty sweet. 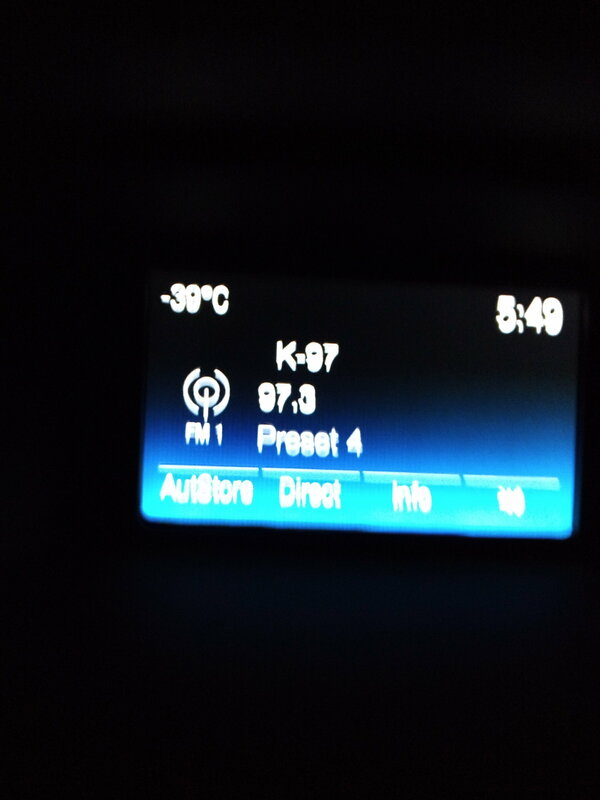 Also, when I say it's cold, we had -39 degrees C today. I took the Focus to work so I didn't abuse the benz. Last edited by Kelvin Bellrose; 02-05-2019 at 09:24 PM. What would make this car more perfect is a classic grille that is compatible with Distronic Plus (along with the hood star). Anyone know if this is possible and if so, have the part numbers. I hate this sports grille. None. Similar to how this W204 is better than my previous car in every way, the next car will simply continue the pattern. FWIW, I currently have around 116k miles (187k kilometers) on the odometer, so 39k more miles (or roughly 2 years) before I can claim the 1st-tier Mercedes high-mileage award. Only after I achieve that will I pull the trigger on the next one, since that was the original plan when I first placed my build order. Last edited by edgalang; 02-10-2019 at 12:24 PM. I don't have part #s, but I bought an OEM hood star for my W204 on Ebay for $30. I have also seen the Lux grille on there for around $150 (not sure if they are OEM though). I also prefer the look of the Lux grille and standing star. I am going to be replacing my sport grille with a lux grille soon. Quick Reply: What do you/would you miss about your 204?